Are You Really Going to Drink That? Home of the Jones family. The Stringam Ranch was situated on the Alberta/Montana border, midway between the town-opolis of Milk River and the village-opolis of Del Bonita. My father elected to send us to school in Milk River. Because it was minutely larger. West of us, and somewhat closer to Del Bonita were the Jones Family Ranches. Whereon (oooh! good word) my best friend, Debbie Jones, lived. Her father had elected to send her and her siblings to Del Bonita to school. Not only did she get to attend a country school, but, after grade 9, she got to bus to the heretofore (another good word) unknown wilds of Magrath, Alberta. Where there were lots and lots of boys. Well, according to Debbie, there were lots and lots of amazingly attractive boys. The number one draw for a high school. Listed just before such frivolities as: teachers. Classes. Facilities. For my final semester of my final year, my parents gave their permission for me to attend school with Debbie. Ostensibly (I’m just full of good words today! ), to further my Language Arts. In reality, to check out the . . . umm . . . neighbourhood. For this, I was sent to live with the Jones family. Probably the most fun family – ever. They welcomed me as one of their own. Put me to work as one of their own. Teased me as one of their own. Generally made me feel like I was one of the family. With all of its privileges/duties. One of said duties was helping with the evening meal. I needn’t tell you which I excelled at . . .
Debbie’s most fun job was supplying the evening beverage. I know, I know, that sounds rather . . . unexciting. Except the way Debbie made it. Oh, she’d add the important ingredients. And then she would get creative. Out would come the food colour. I soon learned that the appearance of the beverage in one’s glass could be radically different from the taste of said beverage. Debbie had mixed . . . I think it was lime . . . Kool-Aid. Then added a drop of this and a spritz of that. What she ended up with looked nothing like lime. Or anything drink-able, for that matter. Her father lifted his glass, letting the setting sun shine through it. Even though I had seen her mix it and knew what it contained. Thinking back, Martha Stewart could have learned a lot from my friend Debbie. Perhaps a good thing they never met. Husby and our Middle Son, Duffy. 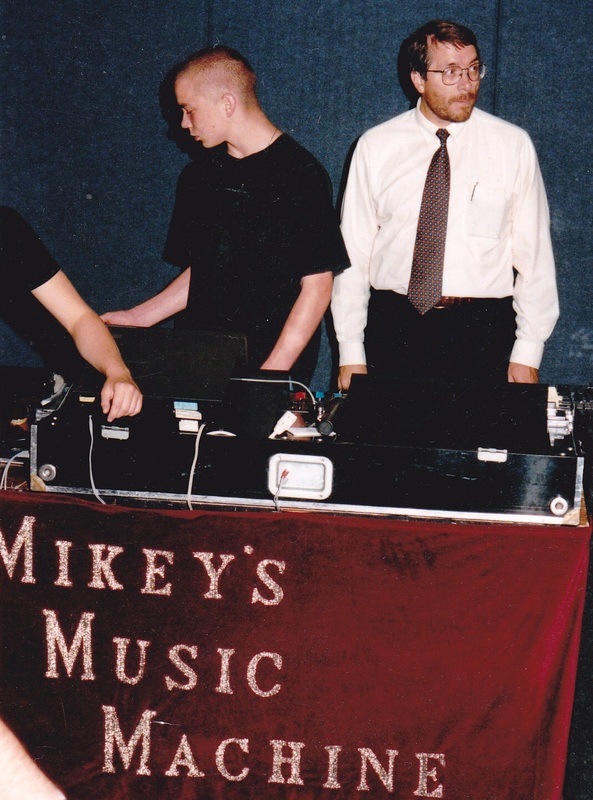 Every weekend for over twenty years, Mikey’s Music Machine entertained groups of families. It was a DJ company. Catering particularly to school, church, community or reunion groups. My Husby spun the music and the kids and I danced. Everything from the old time Virginia Reel, Butterfly and Schottische to the modern line dances. What our family did, other families followed. It was . . . marvelous. Through the years, we had many, many wonderful experiences. We had been booked by a school in Canmore, Alberta. A matter of twenty minutes or so. During that time, a man stood watching us. Mikey’s was all about adults and kids. How could I answer that? “Ummm . . . we encourage the parents and children to dance together,” I said. I turned and continued to run wires. A few minutes later, a young girl (about 10 or so) came up. “Well this dance is going to be a total loss,” she said. Her lip curled daintily over the word, ‘parents’. “Oh, well, we’ve found that, actually you can have lots of fun,” I said, trying to be hopeful. She rolled her eyes and turned away. I finished what I was doing. And walked over to my Husby. “This is going to be a tough crowd,” I whispered into his ear. My kids and I walked to the middle of the gym and started dancing. Usually, we had the dance floor to ourselves for that first song, our Mikey’s Music signature song. Grant spoke over the music, explaining, briefly, how the evening would go. Then he moved into the Twist. The first of many contests for the evening. I should point out that we usually gave away suckers and other wrapped candies. People would dance themselves silly for one. The floor was immediately crowded. Families forming small groups, all twisting madly to earn a prize. And Grant moved into our second contest of the evening. It began by teaching everyone the Old Time Waltz. My kids and I were already demonstrating. People watched for a moment. The song ended and they were ready for the contest, which began with each couple receiving a sheet of newspaper and spreading it out on the floor. The music floated around for a few moments. A Strauss Waltz. Happily, the couples, mostly a parent and a child, danced carefully on their piece of newspaper. Grant stopped the music and everyone looked at him. A groan from the crowd, then laughter as they complied. Everyone continued to dance on a rapidly shrinking ‘dance floor’. People got more and more creative. Usually resorting to one carrying the other, or employing other supporters to . . . support. Slowly, couples dropped out as they succumbed to gravity. And Grant drifted into another old time dance, the Heel-Toe Polka. And that’s when we got our touching surprise. Remember the man who had approached us as we were setting up? The two of them danced past me at this point. Working out the steps to the polka and laughing. I watched them go by, then glanced at my Husby and raised my eyebrows. He looked at them and grinned. That father and that daughter spent the rest of the evening on the dance floor. I will never forget the look on their faces as they, perhaps for the first time, became friends. We had so much fun and created so many memories. You Can Dress Them Up, But . . .
Everybody repeat after me: Mmmmmmm! I was kicked out of a restaurant. But it amounted to the same thing. But it was the irony of the situation that’s most memorable. My Husby and I were out with a group of family/friends. I thought I should point that out. We had just finished a lively dinner and were working our way through an equally lively dessert. I probably should also explain that we were dining at that greatest of all restaurants, the A & W.
And that we were the only grown-ups in the whole building. Someone said something that was laudable (good word). I can’t remember what it was, but it was definitely toast-worthy. We all lifted our glass mugs of frosty-cold root beer in the traditional manner. Like I say, I can’t remember what it was. The pertinent point comes now. With the gentle clicking together of said glasses/mugs. Something none of us had ever done before. Did you know that, to the uninitiated, the touching of glasses in a toast is tricky? The person across from me swung her drink back and . . .
Really? You have to swing?
. . . jammed it into mine. Two hefty (guaranteed unbreakable) glasses . . . broke. Amidst applause, laughter, and liberal dousing. And then the ironic part. Suddenly, standing beside our table was a young woman. We’re talking . . . thirteen? Fourteen? Silence settled across the table as each of us turned to stare. Every teen-ager in the place was looking at us. Disgust uppermost in every expression. What else could we do when popular opinion, under-aged though it was, stood so squarely (and justifiably) against us? Sometimes even parents need correcting. What did you do during Spare? The period when one catches up on things. 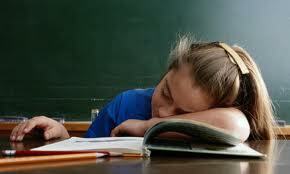 Okay, I admit it, one could even catch up on school work. If one was so inclined. I, however . . . never mind. They would shush us if we got too noisy. For those of you in the virtual world who are unfamiliar with the word ’newspaper’, it was a collection of news and advertising, published daily, and printed on very large sheets of paper. Then dropped the paper and stomped them out. 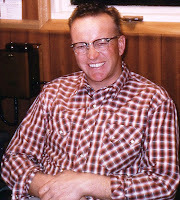 Dad was attending school in Glenwood Alberta. The school building had been constructed when there were far less students. Every available space was pressed into service. Dad and his classmates were meeting in what had originally been the foyer. The big front doors had been fastened shut and covered with several layers of ‘train car paper’. I’m not sure what that is, but it sounds tough. An eminently suitable to serve as a wall in a school. Dad and his friend were seated at the back of the classroom. Against what was once the front of the school. They had finished their work. But Dad was still smarting from his last escapade. He decided to keep said mischief to a manageable level. He and his friend commenced playing Tic-Tac-Toe. Okay, it seemed reasonable to them. After several games, the teacher looked up. Dad looked at the wall. Then back at the teacher. Dad and his friend sighed. Dad worked diligently with his eraser. This was going to take forever! Why does something that takes such a short time to do, take such a long time to undo? He wore a spot in the paper. And realized there was clean paper underneath. The teacher had left with the rest of the students. Dad pulled at the little hole. The paper came away easily. Leaving a clean, unmarked surface. He and his friend worked quickly. Stripping away every inch of the soiled paper. And disposing of it in the stove. The wall stretched before them. And clean was what he wanted. He dusted his hands as the teacher came back into the room. “All done, teacher,” he sang out. Then walked to the back of the class and inspected the wall closely. Dad and his friend wasted no time. Their crime was never discovered. But they were careful not to mark the wall again. Life provides just so many ‘do-overs’. Better not to push your luck. And still full of mischief . . .
Baby Named? Just a Starting Point . . .
We had a good friend, Peter. Whose parents, when he was small, called him Petey-Pie. He thought that was his name. On his first day of school, there was some heated discussion about what name he should respond to. I thought Petey-Pie was a cute name. To the point where he regretted telling my husby and me the story. We had given our first daughter a very nice name when she was born. Until she started getting around. Unlike most toddlers, who . . . toddle . . .
. . . she hopped. My Husby began to call her ’Tigger-Pie’. Thus, she became Caitlin ‘Tigger-Pie’ Tolley. Until it was time to prepare her for her first day of school. Those lessons would apply here. We had been careful to make sure our little daughter knew her first name was ‘Caitlin’. But we hadn’t realized that she now thought her middle name was ‘Tigger-Pie’. To which she would respond. She finally figured it out. Recently, I saw her little daughter, Erini (also know as ‘Rini-Bean’, or ‘Beanster’ for short) hopping across the room. And then I realized what I had said. My second 'traditional' novel has been announced! 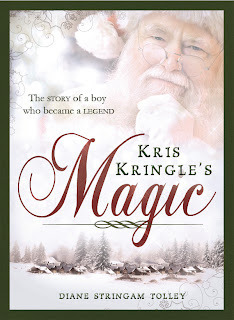 Kris Kringle's Magic, from Cedar Fort Publishing, will hit store shelves in October. It is the story of the boy who became the man . . .
. . . and then the legend. Have you ever wondered how Santa Claus ended up at the north pole? Magic tells the whole story. Through the eyes of his wife, Rebecca, it describes the fatherless boy who spent his life righting wrongs. And in a final bid for freedom and peace, following those he loves to the vast, untouched wilderness that is the north pole. It is a story of love. Watch for it in October! Or on Amazon and B&N.